Put both hands in the air if you are the Denver Nuggets most tradable asset! 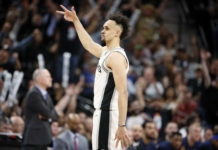 Put your hands down, Gallo, you’re not going anywhere — I giggled when writing that line because of the picture above, I am amused very easy. 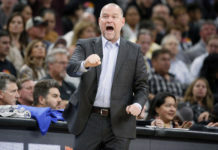 The truth is that Kenneth Faried is the most tradable asset this team has to offer, because he’s the asset they would be most willing to part ways with; Michael Malone and Tim Connelly know this team has to have Danilo Gallinari on it. Faried is now day to day with a groin injury, but with only 10 games left on the Nuggets schedule before the trade deadline, I hope he can return sooner than later. Yeah, it’ll help them win some games, but more importantly, it’ll prove to the rest of the league that he’s a valuable asset. When suggesting a team should trade a fan favorite, a caveat is a must. So here is mine: I like Kenneth Faried as a basketball player, just not as a starter. On a championship team, Faried is the second man off the bench; he is a perfect seventh man on a contending team. He is a very unique player, but that also brings an unorthodox style of play. 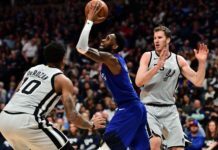 The way “The Manimal” plays makes it tough for him to be a part of an offense that wants to run pick and rolls, due to the fact that his defender can hang in the paint and help his team by not sagging too far away from the ball. On the defensive side of the floor, he is a huge liability. Every team in the NBA knows they can get the matchup they want when Faried is on the floor with a high pick atop the three point line, and then you have Kenneth Faried matched up with a guard who will drive right by him 99 times out of 100. He can’t defend on the perimeter, and it’s not much different in the paint. Despite his nickname, The Manimal is just too small to bang underneath with the big boys of the NBA. 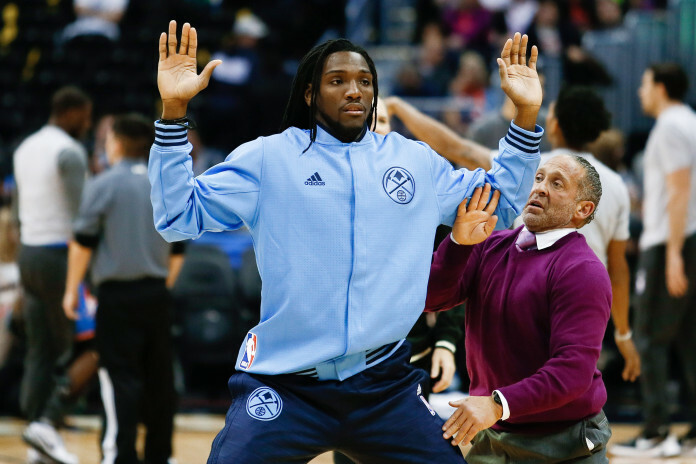 Now, the case for Faried is that the NBA is quickly transition towards a “small ball” league. Some may say it’s a gimmick, I, on the other hand, believe it’s the future of basketball. All that leads to the sentiment that Faried may be a hot commodity at the deadline. If your’e a team on the bubble of a playoff spot, or need someone off the bench to give you some energy, a team like Detroit or Miami in the Eastern Conference or even a team like New Orleans in the West, Faried might be the perfect guy to get you over the top. I’m not going to get into what the Nuggets need to get in return, because that’ll be something I write and address in the future, but within in a seller’s market, it should be worth it. Fans will be upset to see one of their favorites leave the city, but then again, why would the team cater to fans of Faried when they refuse to spend a couple of dollars to come support the Denver Nuggets?